I’m busy working behind the scenes on all the exciting changes, 2017 is going to bring to this space. By now you have most likely seen the social media switches from Basic Columbus to, A City Explored. 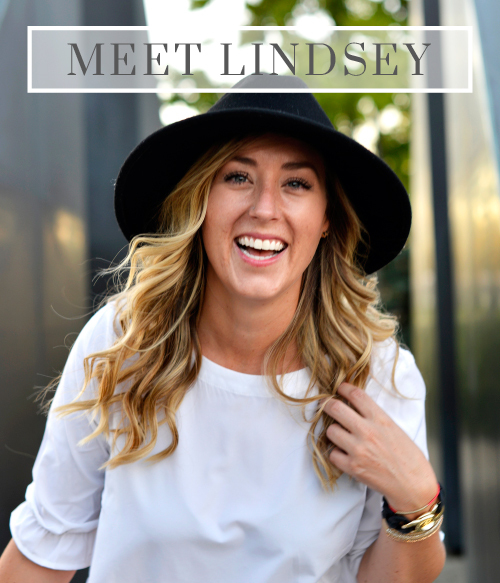 I cannot wait to fill you in on the exact direction of the blog and some of the other details I’ve been anxiously mulling over. Today and tomorrow I am going to SPAM you with pictures from our Christmas Eve and Christmas Day. I hope everyone was able to relax and spend a couple of days with their loved one’s, enjoying the season. 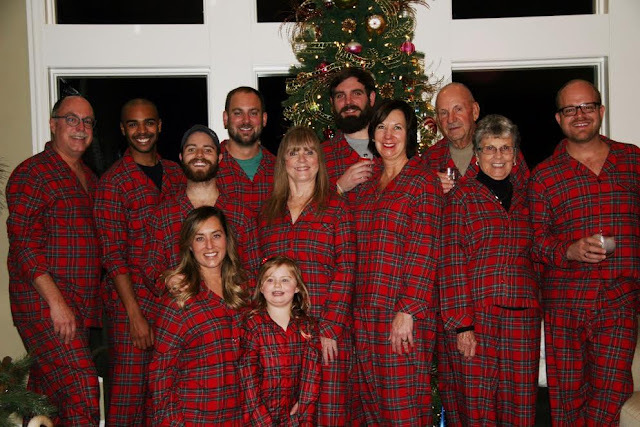 We had an action packed Christmas, my brother and his Fiance’s family all traveled to Columbus from Atlanta for the weekend. It was wonderful to have the whole family together before we all head to Hawaii next week to continue celebrations! January 1, 2017, I will post a blog letting you all in, on the behind the scene workings and what’s to come. Can I ask a serious question…..
What do ya’ll do now that you can no longer use Santa, Christmas presents and cancelling Christmas as a legitimate threats for good behavior? No really, I need to know what comes next and all your secrets! My beautiful children, hoping they made it to the “Nice” list and that Santa stops here! Bellisari’s, Blue Cheese, Honey and Shallot Spread was the perfect addition to our cheese and charcuterie platter on Christmas Eve. This creamy, decadent spread, is a complex arrangement of sharp and salty blue cheese flavor with artisan honey, finished with with a balance of roasted shallots. I cannot wait to explore more options with Bellisari’s delicious spreads. My Mom’s mantle. Her Christmas decorations were divine this year! 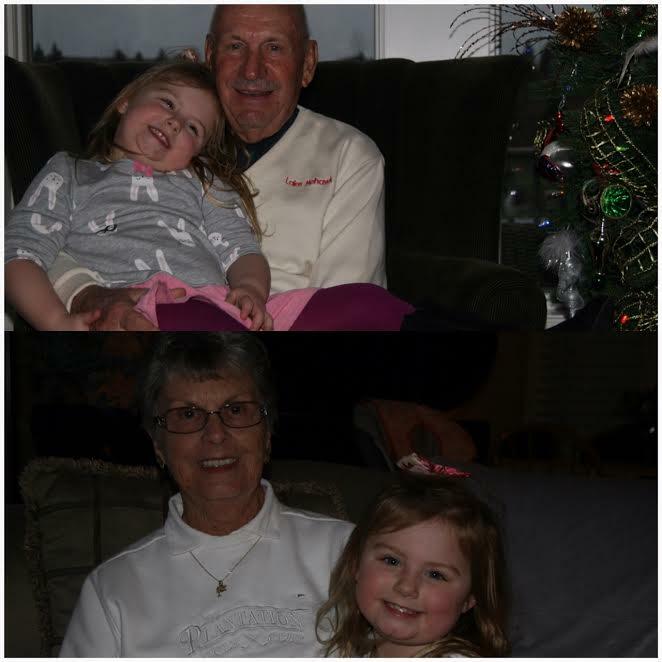 Evelyn and her Great Grandparent’s. I’m so glad Evelyn is getting to develop such close and special relationships with her Grandparents and Great Grandparents. I was lucky enough to have my Great Grandparents as a huge part of my life well into my 20’s and they are relationships I still treasure. I know I have mentioned it before but Evelyn Pearl is named after my maternal Grandmother and Great Great Grandmother. We had rain instead of snow Christmas weekend. We of course had to cram in some shopping in the Short North and one delicious meal not prepared by my Mother. Forno was the winner of our family brunch. One of my personal favorites, I knew it wouldn’t disappoint. 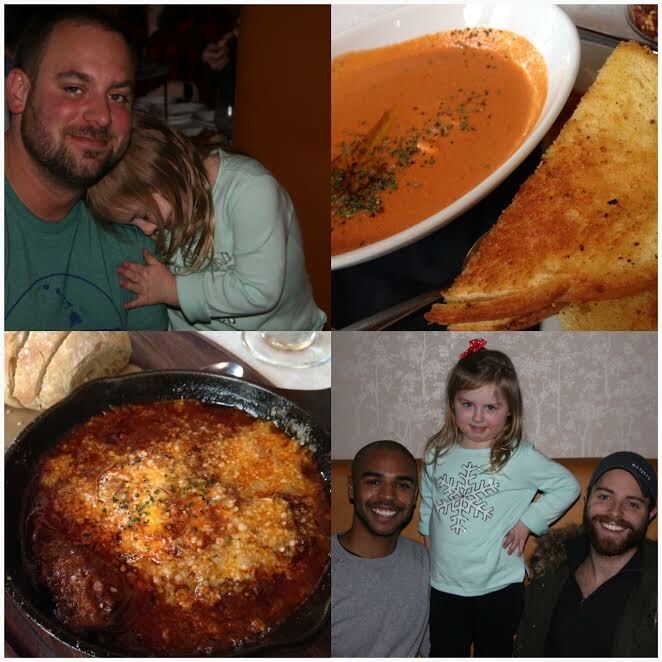 I had the Forno Bisque and Grilled Cheese, I’ve had it before and it still my absolute favorite with a bloody mary. Manfriend had the Brunch Brasato and it was seriously unreal! I kept having to sneak bites, I had heard the brasato was good, but that is the understatement of 2016. Has anyone ever played Left, Right Center? I left that night with four dollars I didn’t have when I arrived, so I chalked it up as a win! Drew was one of the night’s actual big winners. 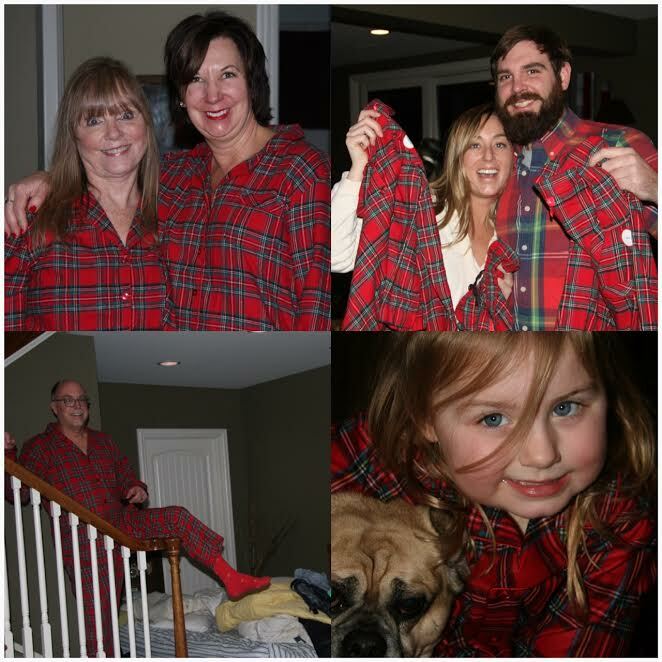 Matching pajamas are a Christmas Eve tradition in the Wernecke family. Evelyn could not have been more over joyed to have all four over her Uncle’s in the same place, in matching pajamas, none the less! Evelyn opening the present she got me, a fabulous gold and black ring. Opening other people’s presents quickly became a trend. The entire Christmas crew on Christmas Eve.